“The combination of great food, great service and great art on the walls is, in my view, one of the best dining experiences you can imagine.” – Lucio Galletto OAM. Are you an art-loving foodie, who appreciates good old fashioned service and authentic Italian food and wine? You’re sure to be in your element at Lucio’s. Lucio’s has been in Paddington since 1983 and is renowned for exquisite Italian food, exceptional service and magnificent Australian art. The restaurant sits in a corner terrace in the leafy suburb of Paddington. The split-level building’s large windows let light fill the dining room giving those passing by a glimpse inside the restaurant’s white table clothes and brightly coloured walls full of beautiful Australian artwork. In the kitchen at Lucio’s the motto is “we follow the season, not the fashion.” The menu features Northern Italian food using Australia’s best seasonal produce. The food at Lucio’s is something special. It’s modern, elegant and sophisticated and captures an array of classic Italian flavours and techniques. During my most recent visit our table chose a selection of starters and pasta dishes to share. There is a steller list of appetisers to choose from to mark the perfect start a long lunch or dinner at Lucio’s. 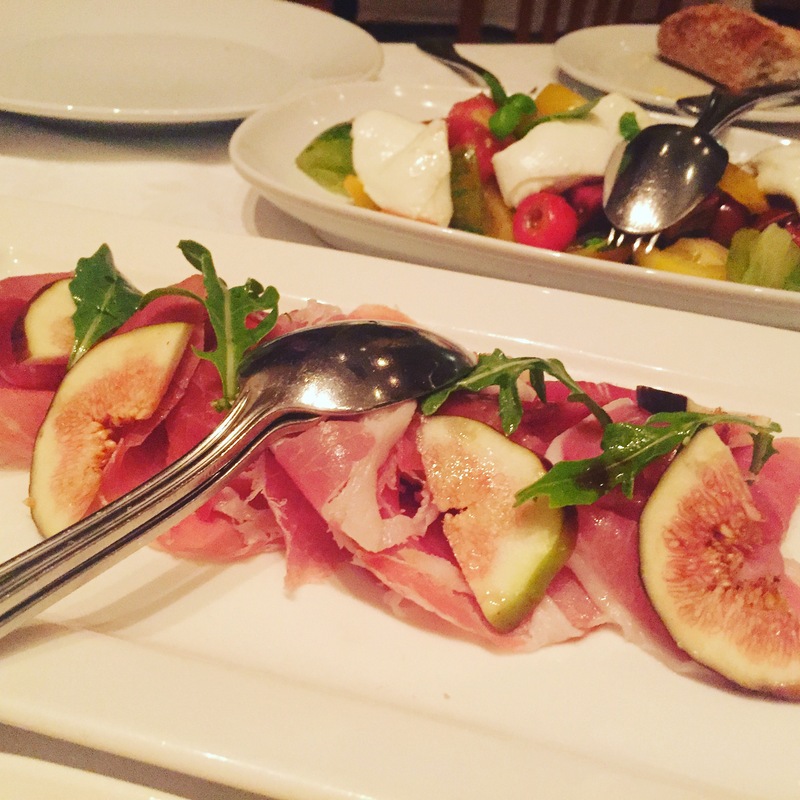 The burrata prosciutto e fichifresh – figs and prosciutto ($29) is a favourite! The caprese salad with heirloom and truss tomatoes, buffalo mozzarella and fresh baby basil ($22) is also a must. 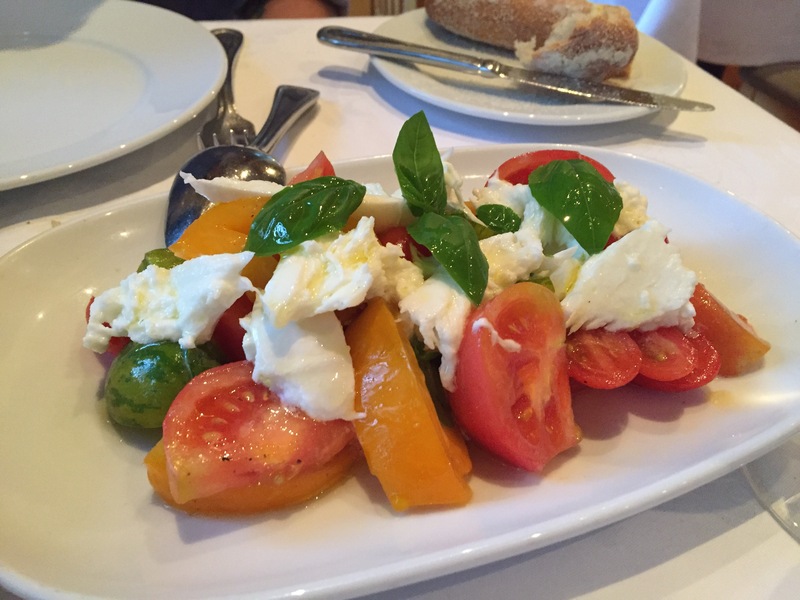 The tomatoes and buffalo mozzarella are incredibly fresh and are seasoned to perfection. I definitely recommend a Bellini cocktail made with fresh peach to compliment the appetisers as well! 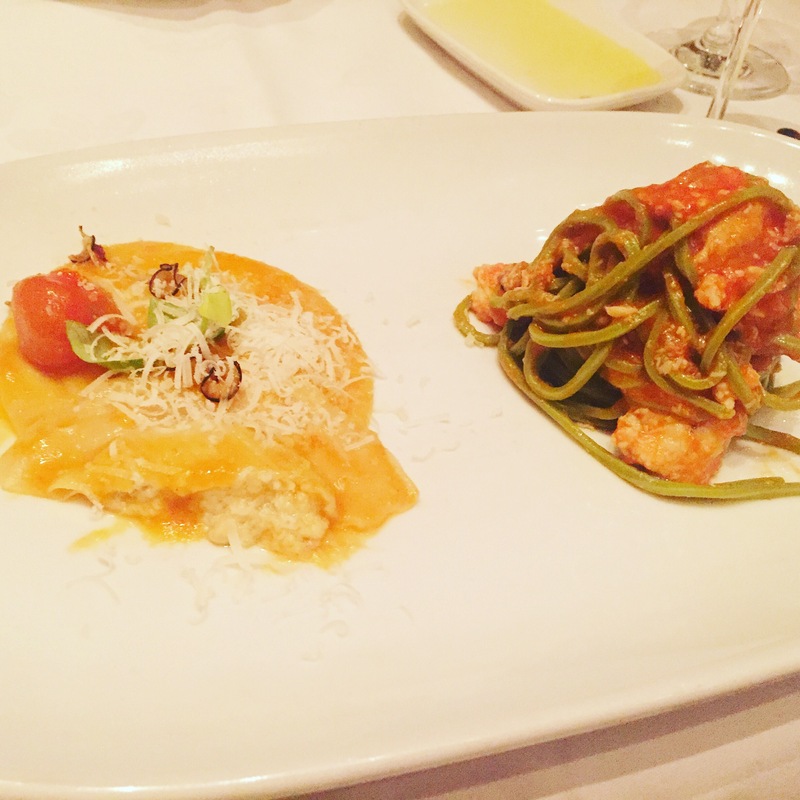 The menu features a number of pasta dishes including Lucio’s renowned tagliolini alla granseola – fine green noodles with blue swimmer crab and a light tomato sauce ($34/42). The pasta is served perfectly aldante, the sauce is light yet full of flavour letting the fresh swimmer crab shine. This is a favourite dish of mine which I have enjoyed every time I have visited Lucio’s (there’s been a few). In addition to the tagliolini alla granseola our table shared an eggplant and mozzarella ravioli with a rich roasted cherry tomato sauce ($30/38). The service at Lucio’s is impeccable. The jovial Italian waiters are knowledgeable and polished providing old fashioned service with an authentic Italian touch. Our table of three requested to share our two pasta dishes and were delighted when two of our Italian waiters bought a service station to our table and plated up the pasta’s perfectly on each of our plates. The wait staff’s attention to detail is superb! There are a range of other main course dishes on offer including a pistachio crusted lamb rump with fresh ricotta, broccolini and globe onion ($48) and roasted duck served with grilled radicchio, peach & puffed farro ($49). There’s a 500g rib eye steak on the bone, marinated in rosemary served with salsa verde ($75). You might also find Lucio’s ligurian “seafood stew” on the menu with grilled scampi, local rock fish, southern calamari with tasmanian mussels and vongole served with fregola and a tomato broth ($50). For sides I definitely recommend the hand cut potatoes fried and tossed with rosemary and salt ($10). Lucio’s dessert menu is simply divine featuring some much loved Italian favourites including semifreddo, ricotta cheese cake, gelato, petit four and cheese platters. 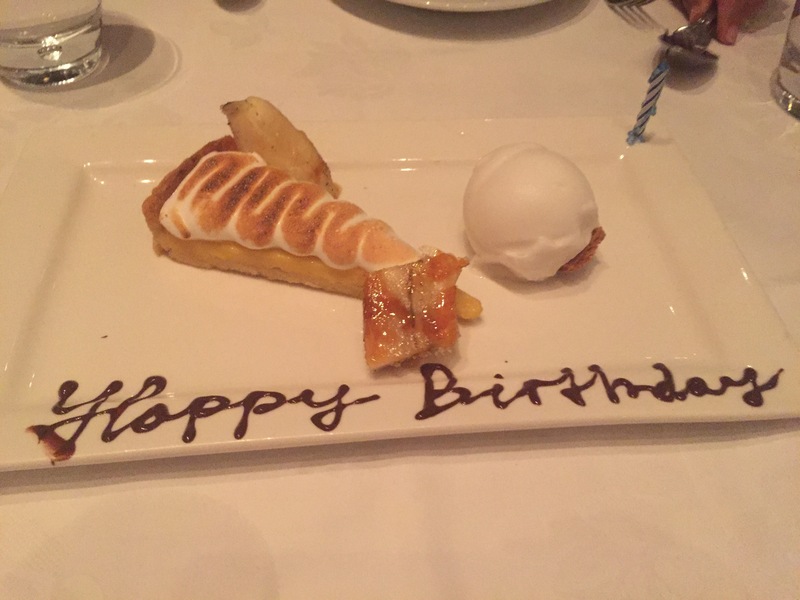 The passionfruit tart with soft coconut meringue, caramelised banana & coconut sorbet is a fruity delight ($19). 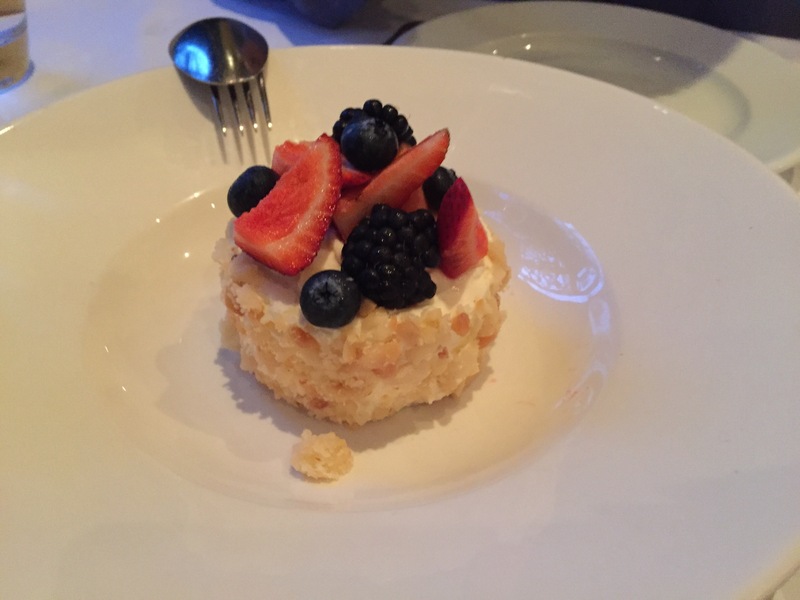 The semifreddo is also a standout – here’s a shot of the semifreddo with fresh berries from an earlier visit. Bellissimo! Sophisticated Italian restaurant with authentic northern Italian food and wine, exceptional service and beautiful Australian artwork. 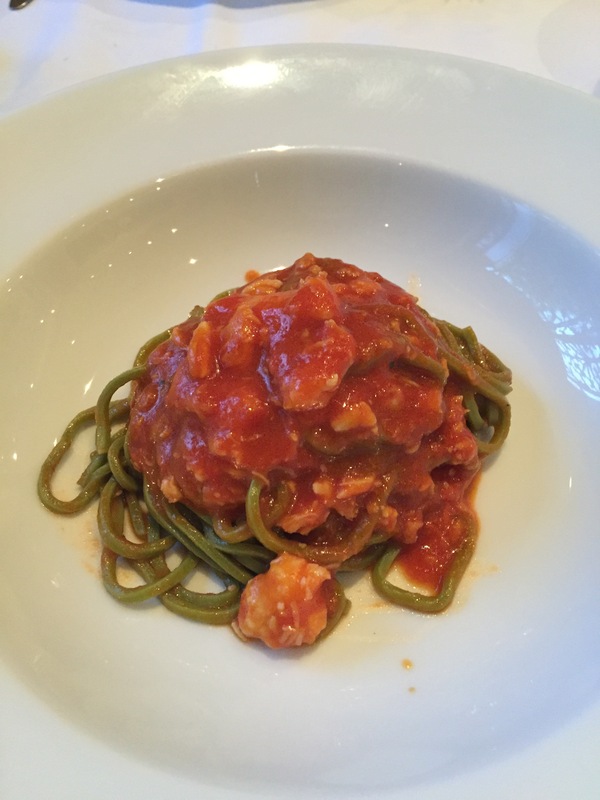 Standout dish – Tagliolini alla granseola – fine green noodles with blue swimmer crab and light tomato sauce ($34/42). 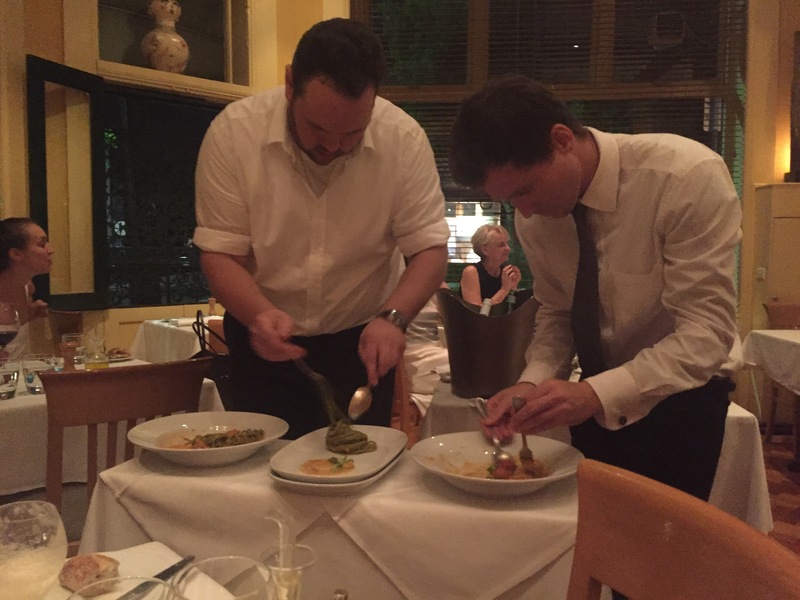 Positives – Impeccable service, equisite Italian food, great atmosphere and beautiful setting.